I am accepting submissions for Guest Posts!!! 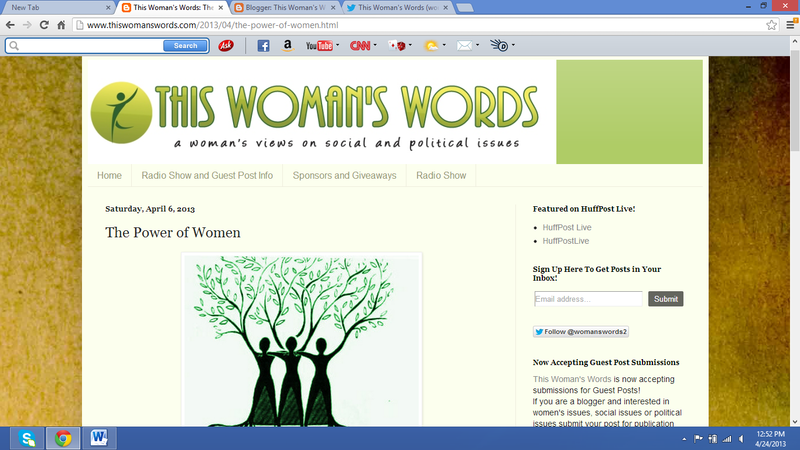 If you are a blogger and interested in women's issues, social issues, political or current issues submit your post for publication on This Woman's Words. Your post will be seen by thousands who read my blog. If your post is selected for publication you will be notified. Posts selected for publication may not be re-destributed elsewhere on the web.